Inter flat communication with “CLI (caller line identification) on CLI Telephone tells you who is calling even, before lifting the handset. Advanced Hotline : Enable's you to get connected to any programmable extension. Just lift the handset and wait to get connected to say “SECURITY without having to dial. Suitable for Small Office, Home Office, Home, Shop etc. Use it as office EPABX System or as a Simple Intercom System Manual will be provided along with the product Just Plug and start. The device is easy to Install Any common Telephone Instrument can be Connected to this device easily. For 4 main line and 16 intercoms. We are leading supplier & service provider of Intercom, Epabx, CCTV, Biometric System, Paging (PA) System, Audio-Video Conference & telecom accessories like Telephone Cable, Junction Boxes, Fixed Cellular Terminal etc. having offices at Vadodara, Surat & Anand. 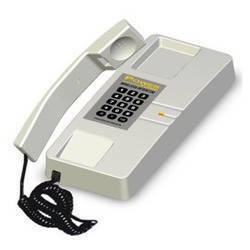 Being the foremost company, we are offering an exclusive array of Intercom Telephone Systems. 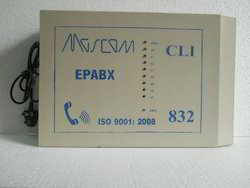 Being a well-established organization, we are engaged in offering a distinguished range of Telephone Intercom System.